After her 3 years training she then began international dance contracts abroad and she choreographed, danced and sang in several different shows. On her return she then taught A-Level Dance at Oldham Sixth Form College and B-Tec dance at Siddal Moor Sports College, Heywood. Jenny also helped with the opening of Trafford Sports Barn, demonstrating her street dancing with Darren Gough (Strictly Come Dancing winner), Ryan Giggs (Manchester United) also took part with the official opening by Tony Blair. Her classes are extremely popular and Jenny has taught in many health clubs all over Greater Manchester and teaches regularly at Manchester University delivering workshops to PGCE students about how to deliver dance in Primary Schools as well as weekly classes in local schools and colleges . In 2004 Jenny set up ‘All That Jazz’ not realising how popular it would become. Whilst running ‘All That Jazz’ Jenny regularly taught in schools all over Greater Manchester providing PPA cover and workshops. Jenny is now in her 12th Year of teaching and Choreographing. As well as teaching Jenny believes that it is important for classes to keep up with the latest styles and trends so to keep up with such a quick moving industry Jenny takes part in regular courses and classes. After realising that she had taken All That Jazz as far as she could using the local community halls in Saddleworth she then decided on a new venture which led to the creation of Jet Studios. With her own studios Jenny is able to provide a wider range of classes for the Greater Manchester area and has a great team of professionals teaching at the studios. Having personally travelled to Manchester and further for quality tuition in dance, drama and musical theatre Jenny felt the area needed the same. After extensive teacher recruitment Jenny has found the right candidates to provide quality tuition in all aspects of the performing arts. Jenny is also a Qualified First Aider. Tiffany started acting from a young age starring in many school productions. Tiffany trained at Oldham Theatre Workshop. Then at the age of twelve years old in 1993 got her first big television role starring as Rachel Jordache in the soap Brookside for ten years. 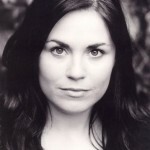 Once Brookside ended in 2003 Tiffany went on to appear in Doctors, Emmerdale and Hollyoaks, filmed two commercials one for Esure and one for Littlewoods catalogue. Tiffany also made her own popular Boxercise workout DVD. Tiffany has also starred in many theatre productions, Dorothy in the Wizard of Oz, Slave of the Ring in Aladdin, Beauty in Beauty and the Beast, Fairy Godmother in Cinderella and Snow White. Most recently Tiffany has done quite a lot of Live presenting for Sky Sports on the Netball Super League matches. Tiffany, her mum and sister are massively into Netball both playing and coaching. Tiffany is with Lime acting agency and is actively auditioning at the moment. Tiffany is hoping that with her experience of work at a high level and being in the spotlight from a young age she will have a lot of variety to offer in her new classes. She is very excited about teaching at Jet Studios and can’t wait to meet the new pupils and watch them enjoying acting and performing, and developing as budding little actors! 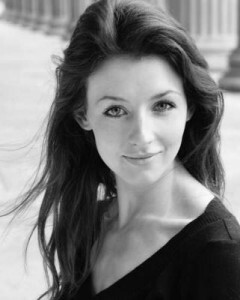 Miss Sarah trained at the prestigious Paul McCartney performing arts school, LIPA. Here she gained a BA Honours in Dance, as well as previously qualifying as a teacher of B.A.T.D, Ballet, Tap and Stage. 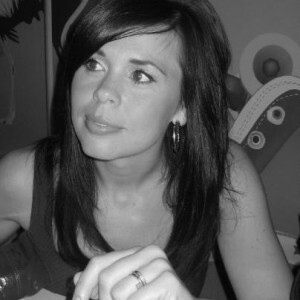 Miss Sarah has vast experience in teaching and leading workshops. Miss Sarah will be introducing B.A.T.D exams to Jet Studios for those who wish to take part. She is looking forward to teaching at Jet Studios and putting our pupils through their paces!! Fran started dancing at the age of 3 at various local schools before embarking on a 3 year vocational training course at Centre Pointe Dance College. qualifications in both ISTD Tap and Modern and Advanced 1 in ISTD ballet. Fran is now performing on Cruise Ships around the Carribean and we look forward to seeing her back at JET in June! Good Luck Fran!